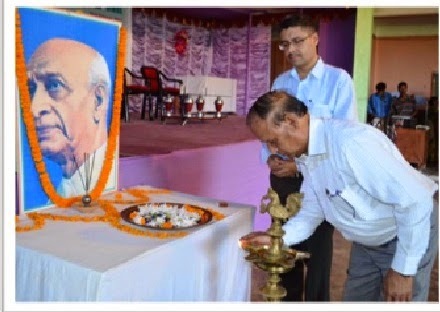 Rashtriya Ekta Divas was celebrated in our school on 31st of October, 2014, on the occasion of birth anniversary of SardarVallabhbhai Patel , The Iron Man of India. The motto of the programme was to foster national unity and integrity safety and security amongst all our children in the schooling years so that every child appreciates these values in their lives. 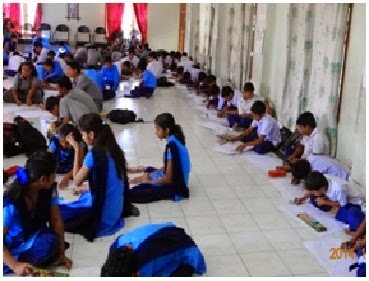 To mark the celebration on Pan India basis, 350 centres were selected all over India and of the 12 centres of Assam, Vivekananda Kendra Vidyalaya, Dibrugarh is the only centre in upper Assam. Along with Vivekananda Kendra Vidyalaya, Sampoorna Kendra Vidyalaya, Naliapool Bengali High School, NandeswarChakrabortyHigh School and Shree Agrasen Academy participated actively. The programme started at 9:30 a.m and continued for five hours concluding at 2:30p.m. The Chief Guest Dr. Shristidhar Dutta, Retired professor & Head of the Department of History; Dean and Faculty of Social Science , Rajiv Gandhi University, Itanagar flagged off the ‘Run For Unity’. The main programme started with mangalacharan. Address of welcome was by the Principal of the school, Sri Ravindranath D. Savdeykar followed by the felicitation of the Chief Guest. A small cultural programme was organised by the students participating school. The chief guest delivered the significance of the day Dr. Dutta focused on the importance of National Unity and the relevance of SardarVallabhbhai Patel’s action and word in uniting the people of India. The National Unity Day Pledge was taken by all the students, teachers and parents. A Poster Making competition with the theme ‘Unity in Diversity’ and ‘Swach Bharat’ was organized. A Debate competition on topic ‘television and Movies influence kids more than their parents and teachers was also organized for students of classes 8 to 10. ShriAmbarishBhattachrarjee, Teacher, Marwari Hindi High School, Dibrugarh, and Teacher of Fine Arts, SaraswatiChitra Kala Niketan, Dibrugarh acted as judge in Poster Making competition. Dr. RanjitSinha, Professor, Department of Political Science, Dibru College was the speaker in the debate competition. Renowned judges like Smt. 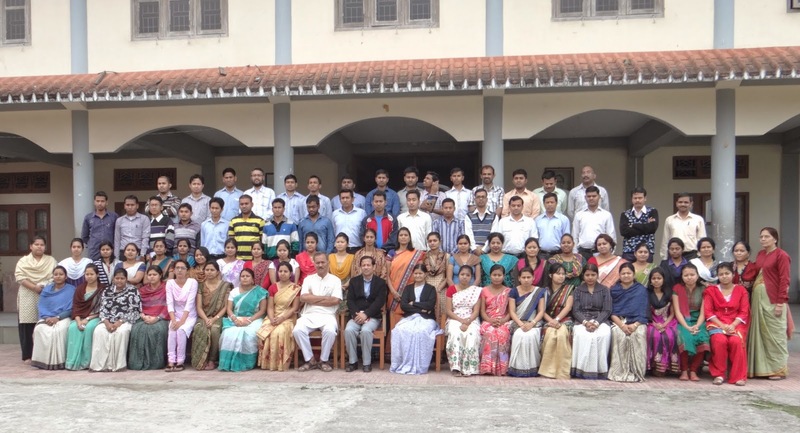 AnjuBorkotoky, Subject Teacher, Department of English, Moran Higher Secondary School; Dr. Jaswant Singh, Professor, Department of Anthropology, Dibru College, Dibrugarh; Smt. Indrani Dasgupta, Professor, Department of Education, M.D.K. Girls College, Dibrugarh. 97 students participated in the poster making competition and 18 students participated in the debate competition.The participation of the students, irrespective of their boards was encouraging, which showed their enthusiasm and sends an important message of unity in sustaining any work. A total no. of 743 participants including staff, parents and well-wishers graced the celebration. The Principal of the school thanked all the participants for the success of the programme.